Nature into Literature (1989) by Carl Woodring (1919-2009) devoted several pages to Charles Ricketts in a chapter on the 'Aesthetes'. 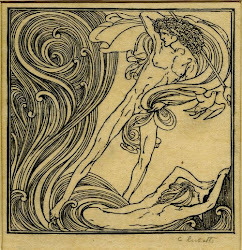 Woodring argued that the aesthetic movement 'was a reaction against perceived insolence in the language of utilitarians, industrial capitalists, and scientific positivists, a rejection of respectability in morals and of democratic leveling, athleticism, imperialism, policy toward Ireland, and illusion as an aim in arts and manufacturing' (p. 229). The chapter on the 'Aesthetes' is mainly concerned with photography, as at the time, 'a drawing had to be made of a photograph in order to print it' (p. 240), and later, 'photography took away engravers' jobs as artisans', however, 'the solution, for a few, was to declare themselves artists' (p. 241), and Woodring mentions the magazine The Century Guild Hobby Horse as 'the first periodical of a more strictly artistic kind'. The editor, Selwyn Image, was an early friend of Charles Ricketts and Charles Shannon, who were trained as engravers and modelled their magazine The Dial after the Hobby Horse. 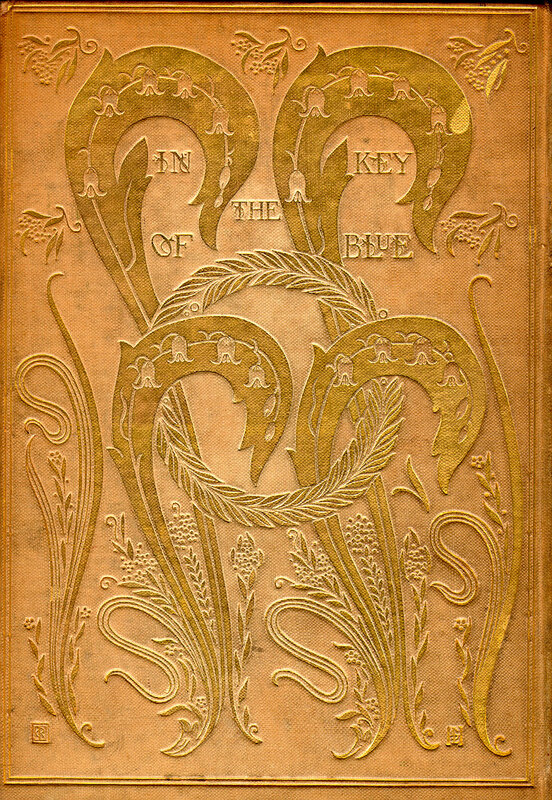 Woodring mentioned several book designs by Ricketts, such as the cover for John Addington Symonds In the Key of Blue (1893) and the endpapers for Oscar Wilde's Poems (1892). Both designs were signed by Ricketts, who deliberately managed to present himself as an artist. Woodring acquired a series of Ricketts's Vale Press books and other book designs, a collection that included letters by Ricketts and Shannon, as well as oil paintings and lithographs, which he donated to Rice University in Austin, Texas, in 2004.